It’s been two weeks into my new life as a teacher in Busan. First I want to say how much I’m loving my new job. My young Korean students are absolutely amazing. They are so respectful and polite. They may still get bored and distracted like young students back home, but on the whole they are better behaved and well mannered. And the students here are required to take care of the their own school. They actually sweep and clean the classrooms and floors. They even sweep up in the teacher’s office room. That is just amazing! The people of Busan have also been great to this waygook (foreigner). They are extremely friendly and accommodating, especially if you make a little effort and greet them in the traditional way. The other teachers at the school have been welcoming and friendly, despite their lack of English speaking ability. The shop owners and locals have been kind and understanding. I cannot stress enough how wonderful the people are here. One thing I’ve noticed here is how seriously Korean people take hiking. Hiking is not quite a religion, but it is a lifestyle, a way of life. Young and old are usually dressed in their North Face or Columbia or some other climbing/ outdoorsy hiking wear. I’m talking jackets, pants, shoes, and trekking sticks. If an emergency hike breaks out, the people will be ready! You even see people with their hiking sticks walking through the concrete jungle. You know, just in case they receive a message of an imminent hike while they are out. 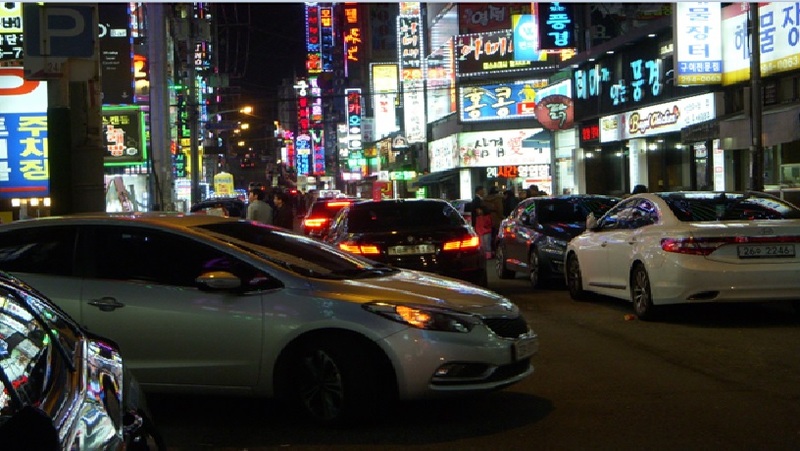 Just stumbled across this blog, I hope you enjoy Busan and Korean culture, a place that I have a great connection with. I hope to move there someday and also teach. Make sure you visit Jeju in the spring when the beautiful flowers come out! Look forward to hearing about how you get on! Thank you Bade, I appreciate the comment. I am really enjoying life in Busan so far… I am falling in love with the country and the culture here!